Last day for checking out the state of locations that we wanted to use for our Glencoe photo course that starts Tuesday 25th. 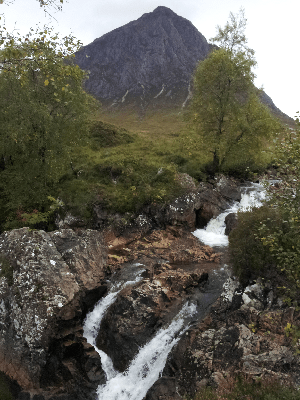 Lots of waterfalls in Glen Etive. 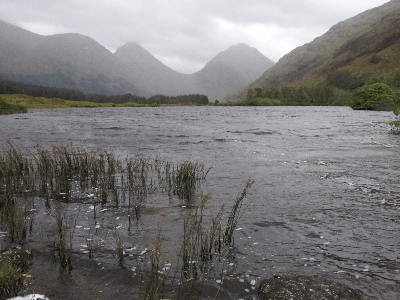 Shots from Lochan Urr where I took one of my best reflection photos ever a few years ago. Had to clear a path through rhodedendron bushes to reach waters edge. Photos here from mobile and edited on phone. Proper film versions in a few weeks! All 3 clients arrived this afternoon. Good evening in local pub getting to know one another. First day of course tomorrow taking waterfalls as forecast not brilliant for big views.